Gift giving can be so fun. But what about when you can’t think of what to give? Gift cards are an easy gift. But so impersonal. 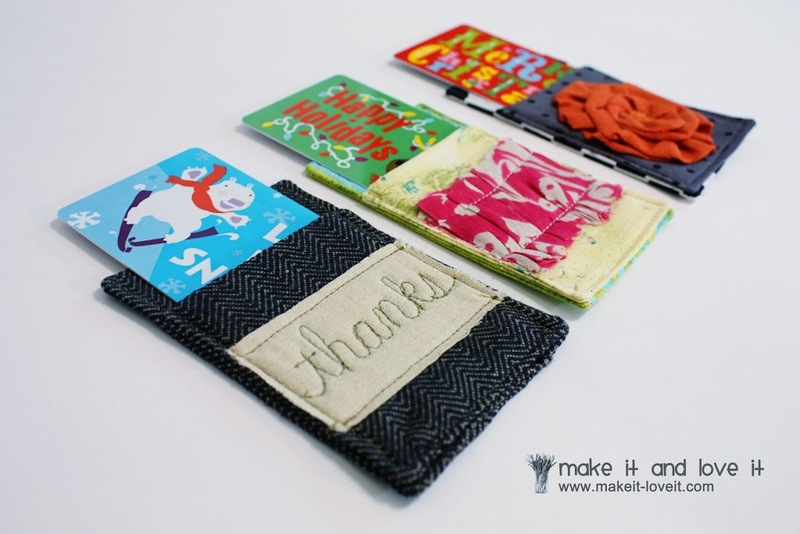 So how about making them a little more personal……and putting them into a little gift card cozy. The idea of putting a gift card in a cozy makes me laugh. But the ice cream cozy I made (found here) made me laugh too. But nothing’s cuter than putting an ordinary object into a nice fabric cozy. It’s just sweet. I have seen different varieties of gift card holders floating around, but I tried to create one with a really easy shape……with a little added flair to the front. You are still able to offer a simple gift, but still show that you put a little thought and time into the gift. Just slide in that little gift card…….and you’ve got the perfect simple gift. Dress up a $5 gift card, or a $50 one……..either will look fabulous in their new little cozy. And keep in mind that you can really dress these up and make them frilly……or keep them more simple and masculine. Men like gift cards too! I used cotton for 2 of the gift cozies and wool suiting for the 3rd one…….but many types of fabric would work. Start digging through that scrap pile. And many sizes will work for these cozies, but here’s the dimensions that I used. 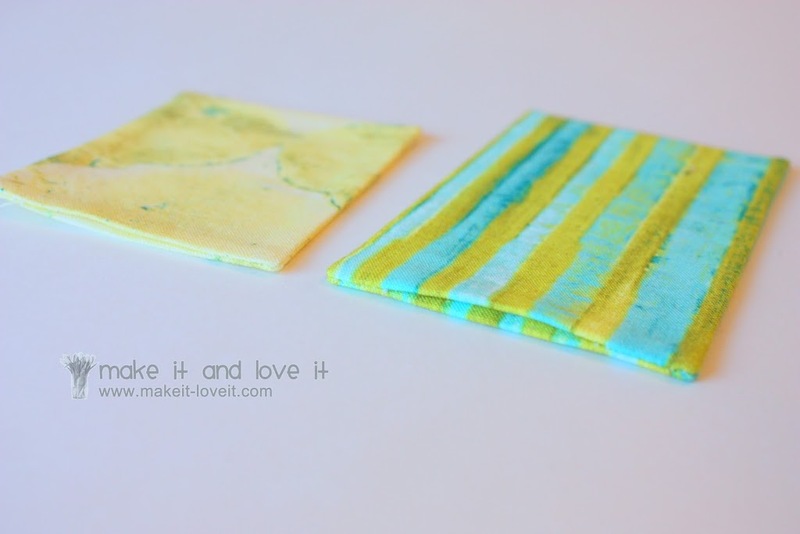 2 backing pieces of fabric that are 3 1/4 x 4 3/4 inches. 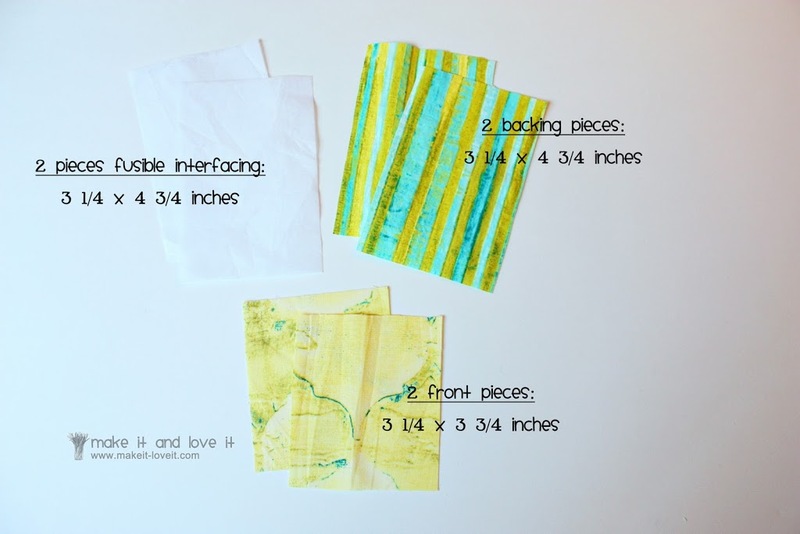 2 pieces of fusible interfacing that are 3 1/4 x 4 3/4 inches. 2 front pieces of fabric that are 3 1/4 x 3 3/4 inches. First, iron the fusible web to the wrong side of the backing pieces. 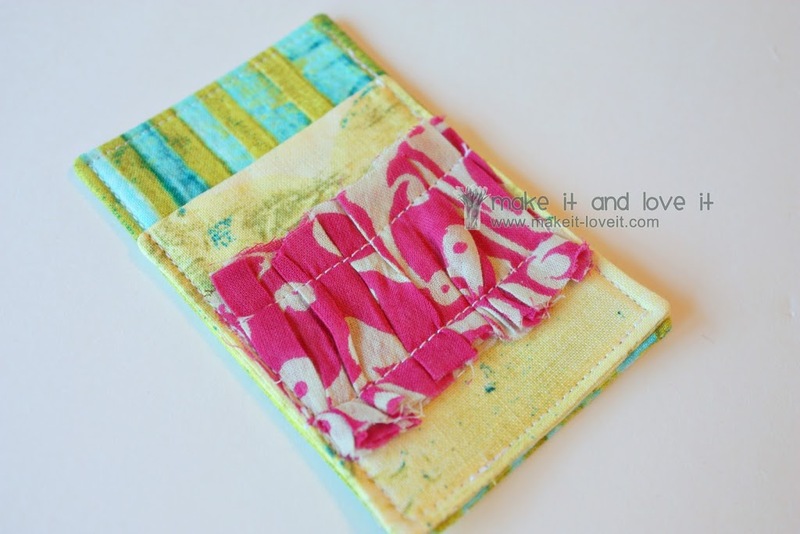 Then place the two backing pieces together, with right sides together and stitch all the way around……..leaving about a 2 inch gap along one of the shorter ends. 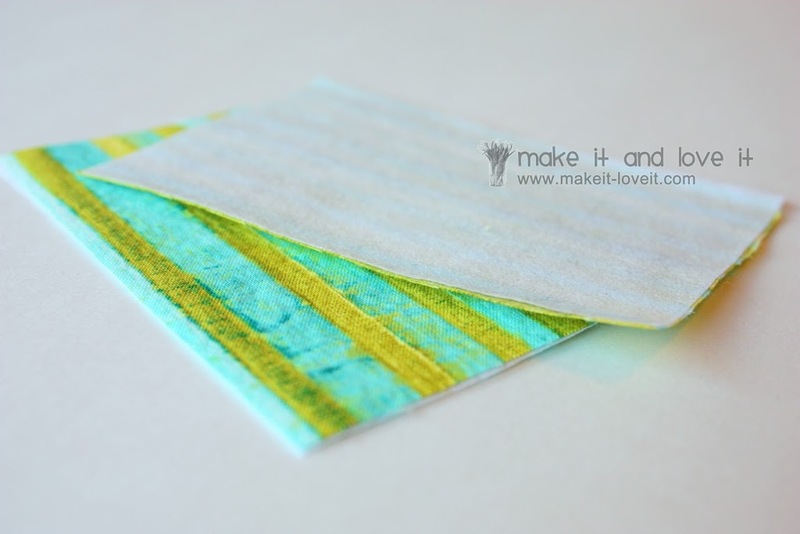 Use a 1/4 inch seam allowance and then clip each of the 4 corners. Then turn right side out and press flat, making sure to tuck in the raw edges of the opening a 1/4 inch. 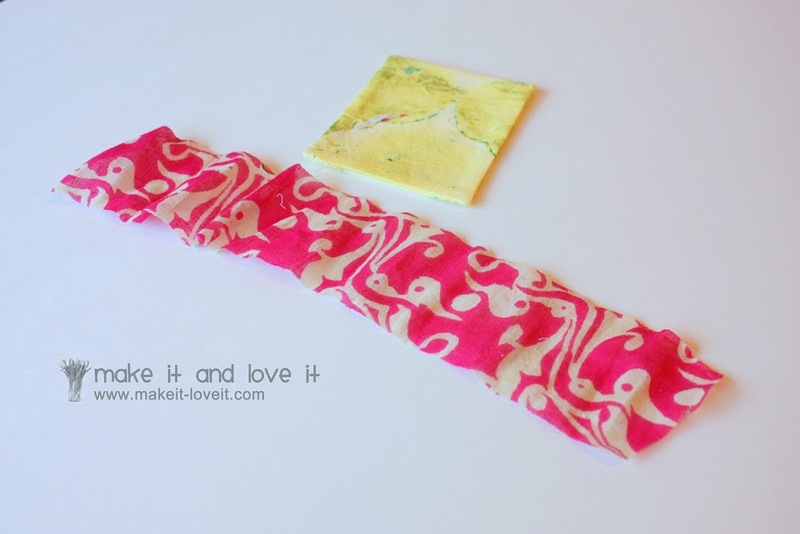 Do the same thing to the 2 front pieces, skipping the interfacing part. Now is your time to embellish the front of the cozy a bit. 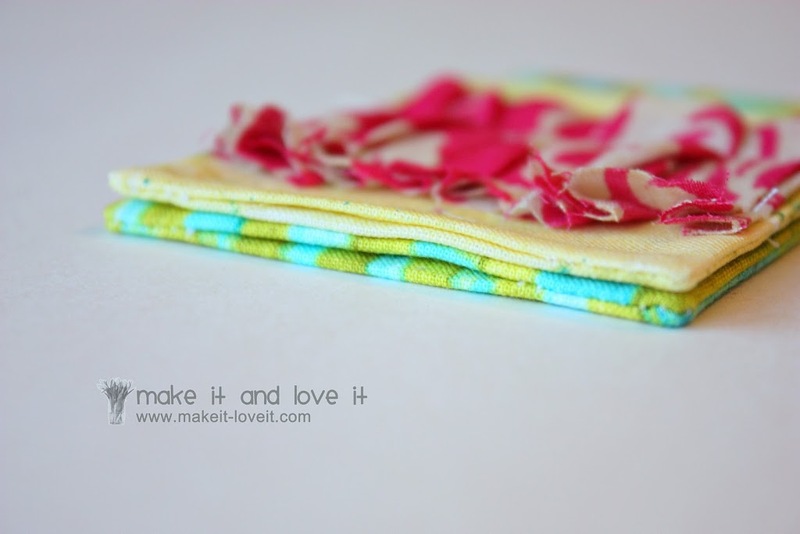 Add a ruffle, a flower, a panel of fabric, etc…….really making the front of the cozy look fantastic. 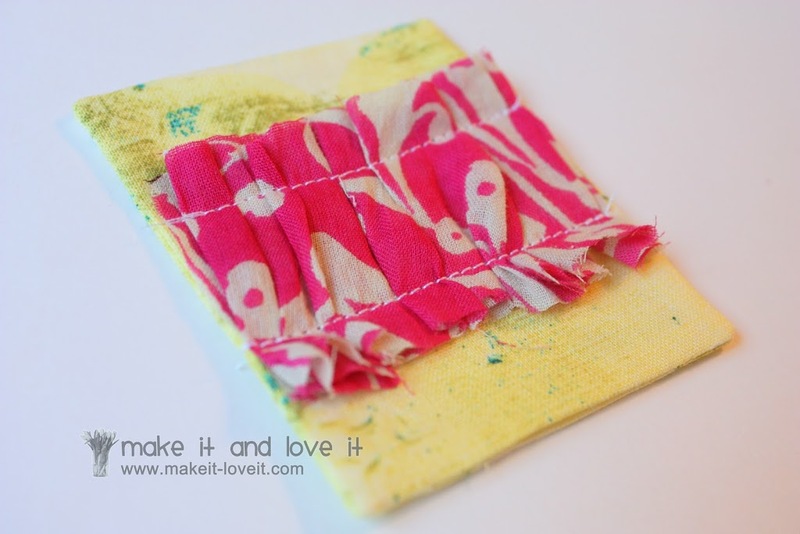 Attach your embellishment to the front of the front piece. Keep the opening on the one end of the front piece, towards the bottom. Then place the front piece right on top of the backing piece and be sure both are facing up. Line up the bottom corners and make sure that both openings are along the bottom. 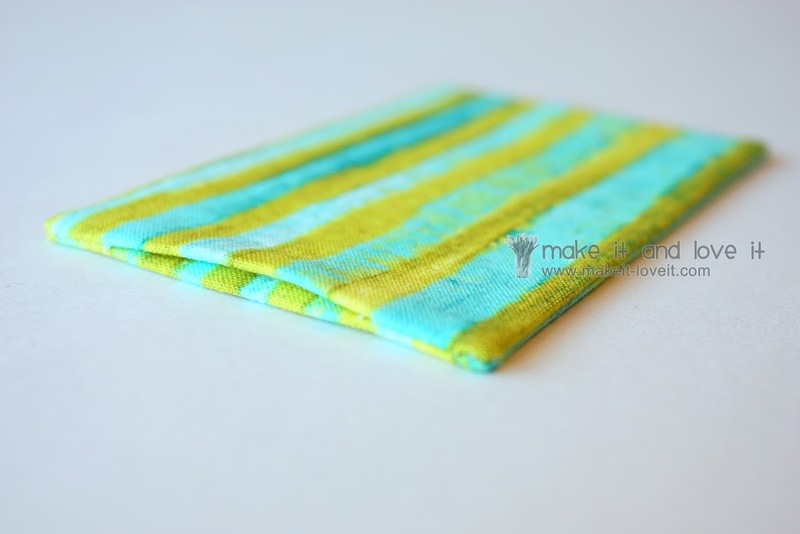 Then stitch all the way around the perimeter of the rectangle shape, attaching the front piece to the backing. 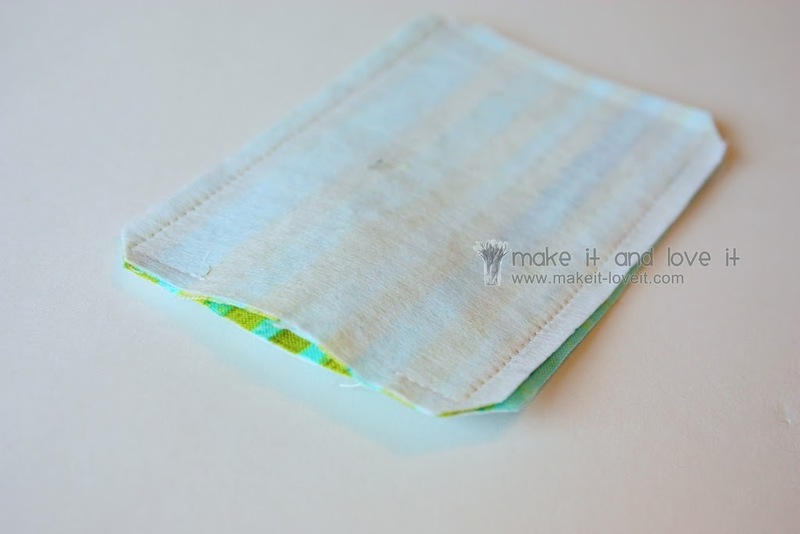 Use a 1/8 seam allowance and be sure to seal off the openings at the bottom. 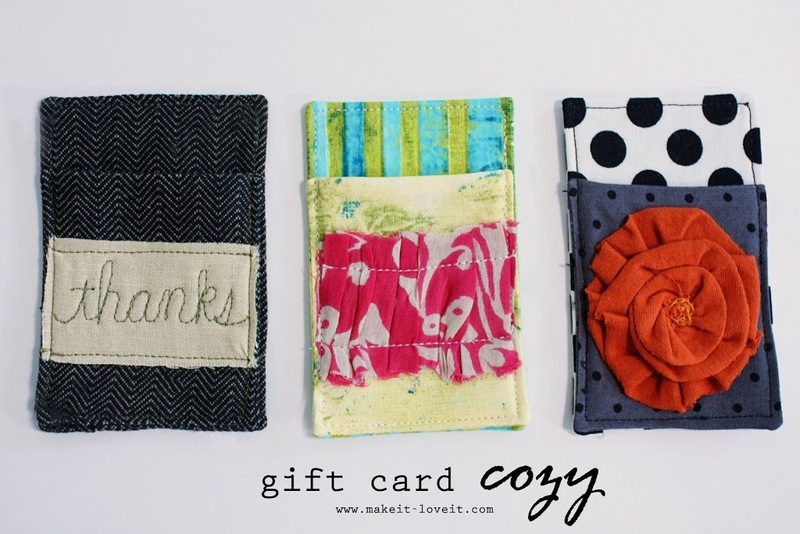 A great little cozy for your gift card. Now go make several more and keep them stocked up for your next ‘simple gift’. Great idea and what a cute way to dress up an otherwise impersonal gift! Ok – that is adorable!!! 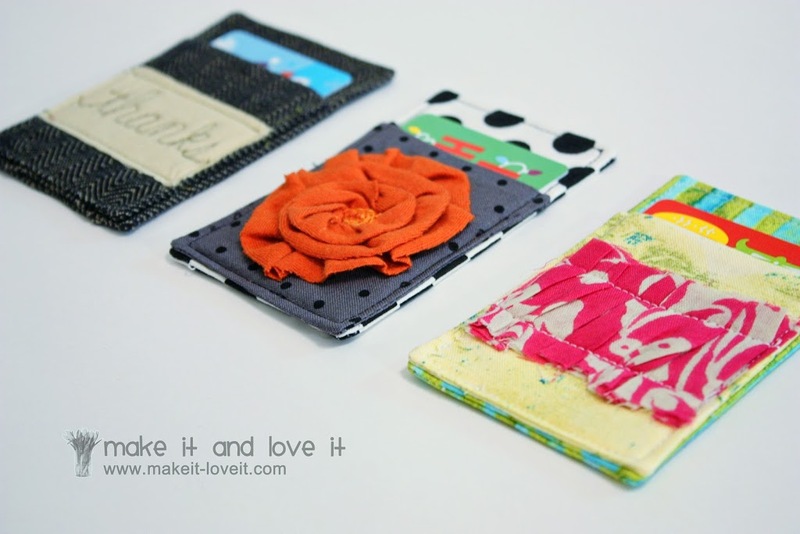 I want to make 20 – LOL! 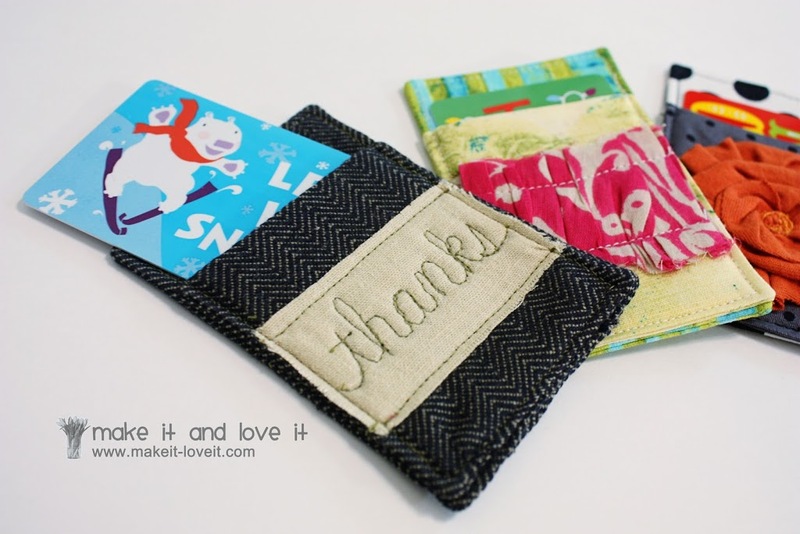 this is so timely…..my secret santa wants a gift card, so i just have to make this. thanks! I love them, they give an unpersonal voucher a very personal touch. Might try to size them up for my new phone. Cute idea! I’ll have to try them!